Play writer Ouyang An is going to have his new play ‘Two Sisters’ at City Hall. Beyond the stage, there is a complex relationship between the actresses of the cast. Xiuling is a veteran who left the stage after her marriage. She has had a hard time since her husband’s death and returns to the stage after a long time. Yuwen, who stars as the younger sister, developed her career in film but not yet in the theatre. Besides, Yuwen is rumoured to have intercepted the role of Xiuling before. With one week until the first performance, the two women and the people surrounding them compete with each other, for the one who will stand out in the stage However, as time goes by, the two leading actresses understand the challenges of their life and the burdens surrounding them. Kwan directs a well-crafted film from various perspectives. He puts a stage drama into the film and creates the third space which does not belong to the reality of the movie nor the real life. He emphasises the identity of Hong Kong and showes his full respect to his motherland through its retro stage, costume, and the central space, City Hall. The story takes place in retro Hong Kong instead of the traditional Peking opera. To make the stage more distinguished, cinematographer Wang Boxue focuses on the monologues during the rehearsal scenes. However, the director of the play represents Hong Kong’s “present”, aligning the modern space outside the theatre. The critical influence is Mainland China. The once-a-famous Hong Kong film director has now become a cab driver for the sake of making a living. Yuwen, who received the proposal from the Chinese TV series, urgently seeks a Mandarin tutor. Yuwen’s manager returns to China for her dream. Fu Sha, who is Xiuling’s greatest patron, is a rich individual from Mainland. 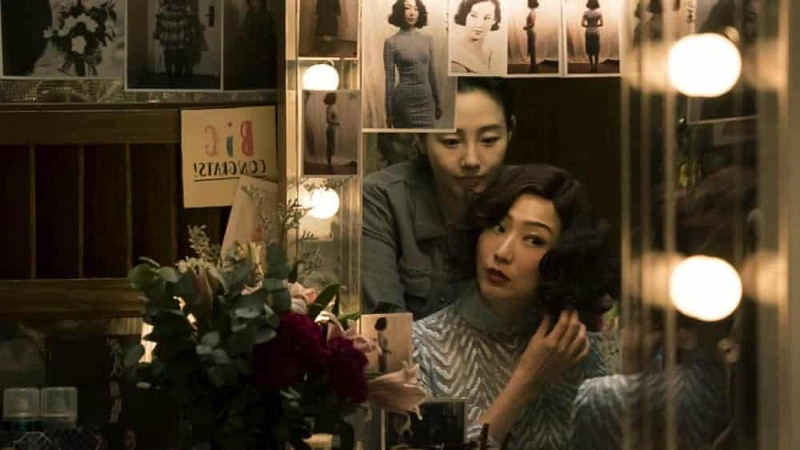 If you go back to the stage in the movie and connect with Hyundai and see the conflicting sisters as China and Hong Kong, you can guess Hong Kong’s future in their reconciliation. The exclusion of China from the Hong Kong arts industry seems to reverse the trend of the times. In this female-centered drama, Kwan delicately portrays all roles from the various dimensions, not merely ending the confrontation between the two actresses. The film focuses more on showing the stories and relationships of the many women engaged in this play instead of ‘Black Swan’ style conflicts. The director chose all the characters who are needed to stage a play, such as actresses, managers, friends, directors, theatre officials, to be ‘women’. The complex relationships that arise in society are not due to the peculiar characters of women; instead, this film shows characters that do not even need to be women. Also, this film also deals with transgender, gay, and lesbian issues, which captures changes in the notion of love in society. If you look at the movie, you might overlap Ouyang with Stanley Kwan himself too.